We hope this section is useful to both consumers and members. We try to keep it updated, but changes happen frequently, so if anyone knows of a change to a rule, tax credit program, or law, let us know. 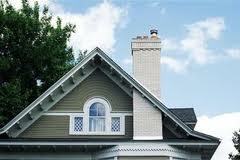 Why tax credits and Incentives? We get questions from consumers about why the government would encourage people to use wood stoves. Fair question, so here goes. Modern certified wood and pellet stoves are dramatically cleaner burning than older, uncertified stoves. These "pre-EPA" stoves were made mostly in the '70's and '80's. They seemed, at the time, as the solution for the energy crisis, and well, they served that purpose. But, they also last a really long time. Because of that there are incentives and tax credits to reward people for changing out their old inefficient wood stoves with a modern EPA certified wood or pellet stove or a natural gas fireplace or stove. Also, scientists understand that the carbon cycle plays into renewable fuels. Burning wood efficiently is a sustainable practice. Trees turn carbon into oxygen, stoves burn oxygen and turn it into carbon. Trees are replanted, and the cycle continues. Unlike burning carbon (gas, oil, coal), burning biomass releases carbon only recently sequestered in trees, at least recent in a geological sense. Sustainable. This is opposed to turning carbon loose on the atmosphere from millions of years ago. Not sustainable. Oregon air quality laws ensure burning wood has the least impact on the environment and require uncertified stoves to be removed when homes are sold. 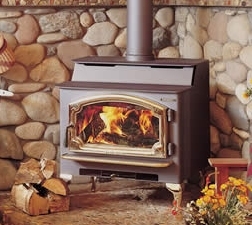 The Oregon Department of Energy offers Residential Energy Tax Credits for purchase of highly efficient wood and pellet stoves and direct vent gas fireplaces. Also, Oregon has a law that require regular inspection of woodstoves and chimneys in Adult Foster Homes to ensure they meet fire safety standards.